Our Elmhurst business attorneys understand the unique needs and mindset of business owners and entrepreneurs. With experienced, affordable, and comprehensive client service, we will build a lifelong relationship with you as your business' trusted adviser. Whether you need advice or assistance with incorporation, contract drafting or review, employee and independent contractor issues and agreements, business disputes, exit strategies, or asset purchase agreements, our friendly Elmhurst Business attorneys have the experience and skill necessary to provide creative and cost-effective solutions for business. At O'Flaherty Law, business is our passion. Kevin O'Flaherty, who has owned multiple businesses himself, hosts the SeizeYourBusiness.com podcast for business owners and hosts monthly workshops and seminars for business owners. He is also extremely active in the local business community, sitting on the Board of Chamber630 and a past Vice President of the Rotary Club. Whatever your business or corporate needs, Kevin and his team of Elmhurst business attorneys are here to help! In this video, our Elmhurst Business, Corporate & Contract Law attorney describes why O'Flaherty Law is the best choice for your business matter. We Understand Business Owners’ Needs! Kevin O’Flaherty who personally works with our business & corporate clients, has a passion for business and understands the mindset of entrepreneurs in a way that most attorneys do not. In addition to owning O’Flaherty Law, Kevin has started multiple other enterprises. He founded and hosts the SeizeYourBusiness.com podcast & videoblog, in which he interviews successful business owners and entrepreneurs regarding business issues and strategies. Kevin hosts regular Small Business Workshops and Seminars, as well as multiple Business Think Tank groups, where entrepreneurs come together to share ideas and work through problems. Kevin also founded the Business Lounge of Elmhurst, a club for entrepreneurs and professionals to work together to enhance their business opportunities. As a business owner, you don’t just need an attorney. You need an attorney who understands the unique mindset of an entrepreneur. Our Clients Love Us! Our Elmhurst business, corporate & contract Law attorneys have earned a reputation for going above-and-beyond for our clients. Many of our clients have been so impressed by our service, that they have taken time out of their busy schedules to write us glowing reviews, which you can read here. In 2016, we received the Avvo Clients’ Choice Award. In 2015, Suburban Life Magazine named Kevin O’Flaherty as one of its Best Under 40. We have an A+ Rating with the Better Business Bureau, and have never received a complaint. We have received these accolades because we work every day to put our clients first. Kevin is accessible after hours and on weekends via his cell phone: (630)967-4697. We promptly return calls and e-mails, and affirmatively communicate with you and educate you at every stage of your matter. We Are Budget-Friendly! We know that the last thing you need for your bottom line is expensive legal bills. Our mission is to build a lifelong relationship with our business clients and their families. This is why we have intentionally set our rates below market. We offer cost-effective flat fees for most projects. If a flat fee is not available, we will make sure that you know what to expect at the outset of your project, and that you are never surprised by a legal bill. If you can find a more affordable option for your business & corporate needs, we would like to hear about it! 1. Incorporating Your Business: The very first step you should take when you are starting a new business is to talk to your business attorney about incorporation. Our Elmhurst corporate attorneys will advise you on the advantages of incorporating, such as liability protection and self-employment tax savings. We will also educate you on the most advantageous corporate form for your business, including the difference between LLCs and S-Corps. Our Elmhurst corporate attorneys will make sure that you have followed all of the required corporate formalities necessary to make your corporation effective, work with you to prepare bylaws and operating agreements, obtain an EIN number for your business, file your S-Corp election, and make sure that you are registered with the proper state governmental agencies. 2. Annual Maintenance: Our Elmhurst business attorneys will prepare and file your Annual Report with the Secretary of State and prepare your Annual Meeting Minutes for Shareholders and Directors, as well as ensure that you comply with notice requirements for annual meetings. 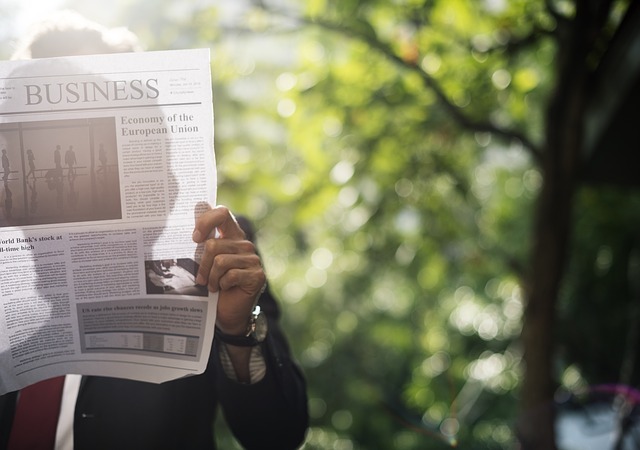 Even if you are a single-shareholder corporation or LLC, Annual Meeting Minutes are important in order to be able to show that you have been following corporate formalities. If you fail to do so, your corporation may fail to protect your personal assets from corporate liabilities. 3. Contract Drafting & Review: The best way to protect yourself from costly disputes and litigation is to have a well drafted contract with anyone with whom you do business, including your customers, employees & independent contractors, landlord, and third party vendors. Our Elmhurst contract attorneys can assist you in preparing asset purchase agreements; stock purchase agreements; leases, non-disclosure agreement, non-compete agreements, and non-disparagement agreements; general contractor agreements & subcontractor agreements; customer contracts; employee contracts; and independent contractor agreements. Having a well drafted contract that protects your interests and contains clear language is much more cost-effective than dealing with disputes based on ambiguity or lack of a contract down the road. 4. Employee and Independent Contractor Issues: Before you hire your first employee or independent contractor, you should meet with your attorney to help you navigate the many issues surrounding employment. Our Elmhurst business lawyers will assist you in getting registered with the required governmental agencies, obtaining the proper insurance, and preparing employee handbooks & employment agreements. We will also counsel you on whether to structure the relationship as an employee relationship or an independent contractor relationship, and prepare independent contractor agreements to ensure that you are protected from liability. If you are having issues with an employee, thinking of terminating an employee or independent contractor, or if an employee resigns, you should call your attorney as soon as possible to protect yourself against wrongful discharge and unemployment insurance claims. 5. Intellectual Property, Trademark, and Copyright: You put a lot of effort and creativity into making your brand recognizable. We can help you trademark your name, logo, and slogan to ensure that you have the continued exclusive right to your brand. If you have created a process or creative work, our Elmhurst intellectual property attorneys will assist you in filing a copyright application to ensure that you enjoy the fruits of your labor. 6. Business Purchases & Sales: If you are buying or selling a business, or merging with another company, it is important to have an attorney involved from the outset to ensure that you receive the benefit of your bargain. 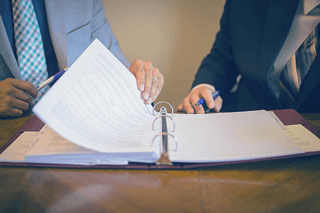 Our Elmhurst business attorneys will help you negotiate the best deal possible, draft or review the asset purchase agreement or stock purchase agreement, shepherd the transaction from Letter of Intent to closing, and assist you in dealing with any post-closing issues that may arise. 7. Rewarding Key Employees & Executives: When your business is running smoothly, you may want to either provide key employees with a pathway to ownership or reward them in other ways, such as profit sharing incentive plans, in order to retain them and keep them motivated. We can help you creatively structure long-term plans and agreements for key employees and executives. 8. Business Disputes: Unlike many business attorneys who are purely transactional, our team of Elmhurst attorneys has extensive experience in commercial litigation and contract litigation. If you have a dispute with an employee or independent contractor, a customer, your landlord, or a business partner, we will aggressively fight to protect your rights. We can also help you put a collection process in place to ensure that your accounts receivable are paid. Many disputes can be resolved with a demand letter from your attorney laying out your position and phone negotiation to resolve the issue. Should settlement not be possible, we will ensure that your business is protected in an efficient and cost-effective manner. The earlier you get your attorney involved in a potential dispute, the greater your chances for an early favorable resolution. 9. Exit Strategies: You should begin thinking about your exit strategy as soon as you start your business. Whether you intend to sell your business, bring in a partner over time, or transfer the business over time to a key employee or family member, the sooner you meet with an attorney to define your strategy and begin planning to execute it, the more options you will have. 10. Estate Planning: You should work with your attorney in order to ensure that your business will pass to your loved ones intact and not be consumed by estate tax or costly probate. A good personal estate plan will be specially tailored to fit your circumstances as an entrepreneur and business owner, and make sure that the right person is in control of your business should you become mentally incompetent or pass away. Our team of Elmhurst attorneys has experience in estate planning as well as business law, which makes us uniquely qualified to provide the comprehensive personal and business advice that you as a business owner need. Read the full article by our Elmhurst business lawyers regarding when it makes sense to contact your business lawyer. Meeting with a business attorney at the incorporation stage of your business will allow you to build a relationship of trust and identify future legal needs such as contracts, leases, employee issues, exit strategies, or disputes. When a legal issue arises, it is important both to identify the situation as one in which you should consult your attorney, and to have a pre-established relationship with an adviser and advocate that you trust. Read the full article by our Elmhurst corporate lawyers explaining why you should owrk with an attorney when incorporating your business. In this Learn About Law podcast & videoblog, Elmhurst Business lawyer Kevin O'Flaherty of O'Flaherty Law discusses why it makes sense to hire an attorney to set up your corporation or LLC. Elmhurst business attorney Kevin O'Flaherty discusses legal considerations when starting a business in Illinois. In this article, our Elmhurst corporate lawyers explain some of the key things to consider when starting a business in Illinois. We explain how to get your business up and running, including how to select the appropriate corporate entity and register with the required governmental organizations. We also discuss how to make the transition to being an employer, including the difference between employees and independent contractors and the importance of employment agreements and employee handbooks. Read the full article by our Elmhurst business attorneys explaining how to start a business in Elmhurst.